My son did a research paper on President Truman this past year which really sparked an interest in our 33rd president. 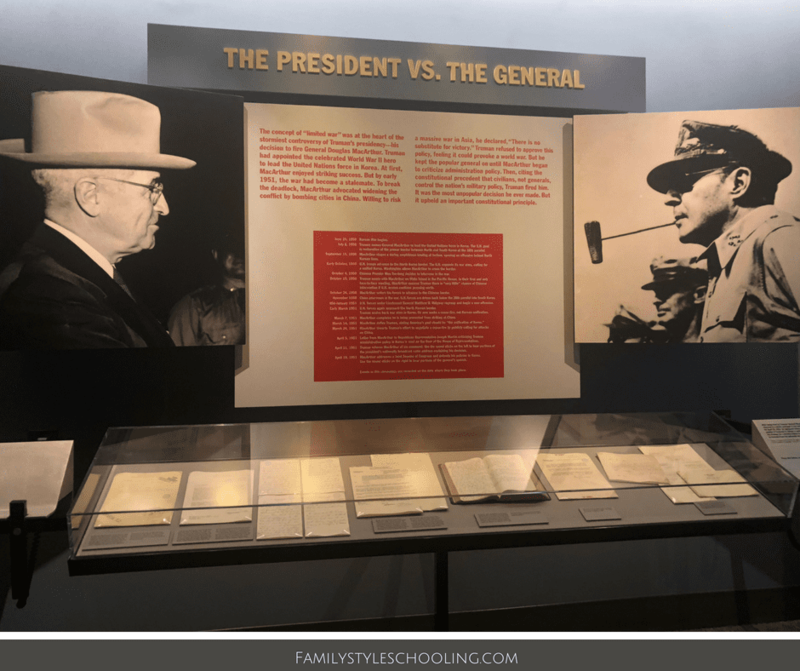 Entering office after the death of President Franklin D. Roosevelt, Truman was faced with some of the greatest challenges as he took command of the United States during World War II. 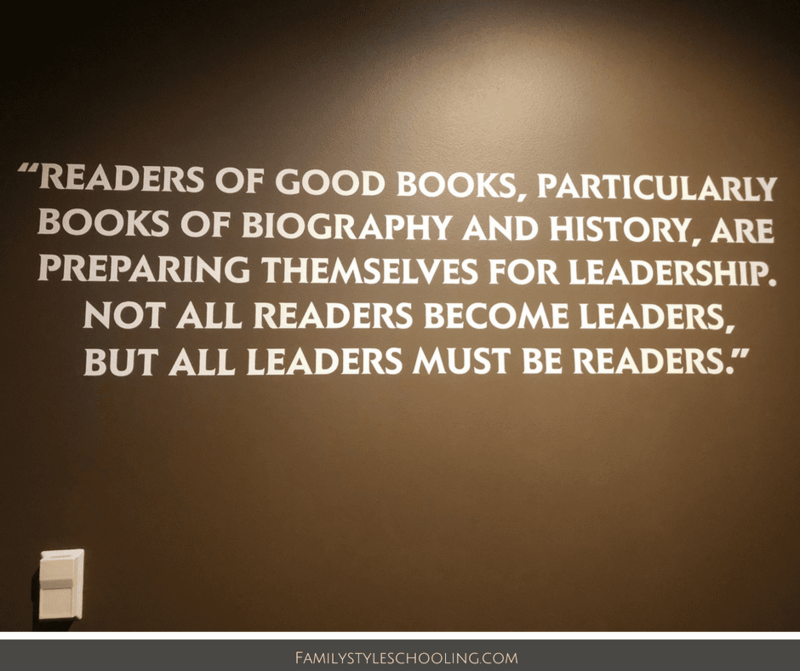 His Presidential Library and Museum was the first to be built under the 1955 Presidential Libraries Act which encourages presidents to donate their historical documents to be available to the public. 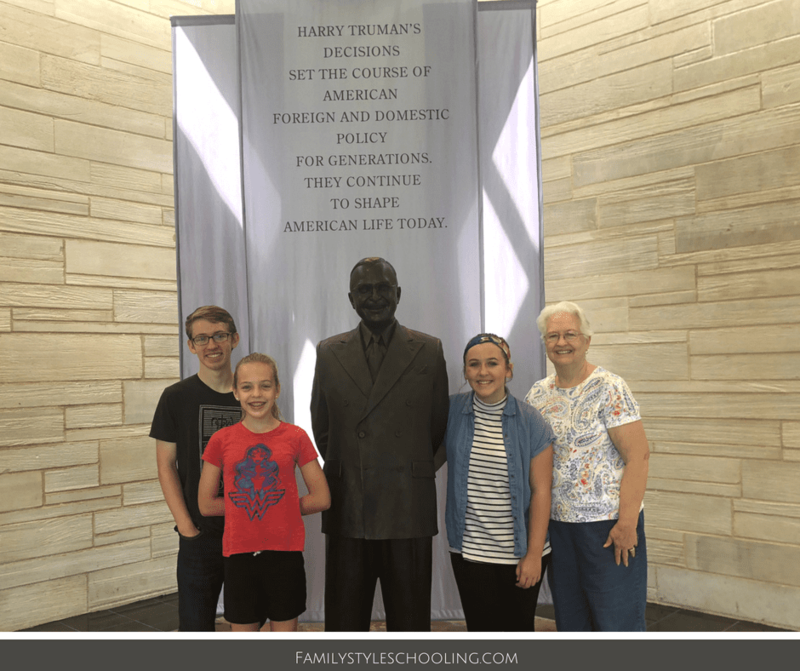 Truman's museum is phenomenal, and one of our favorites. 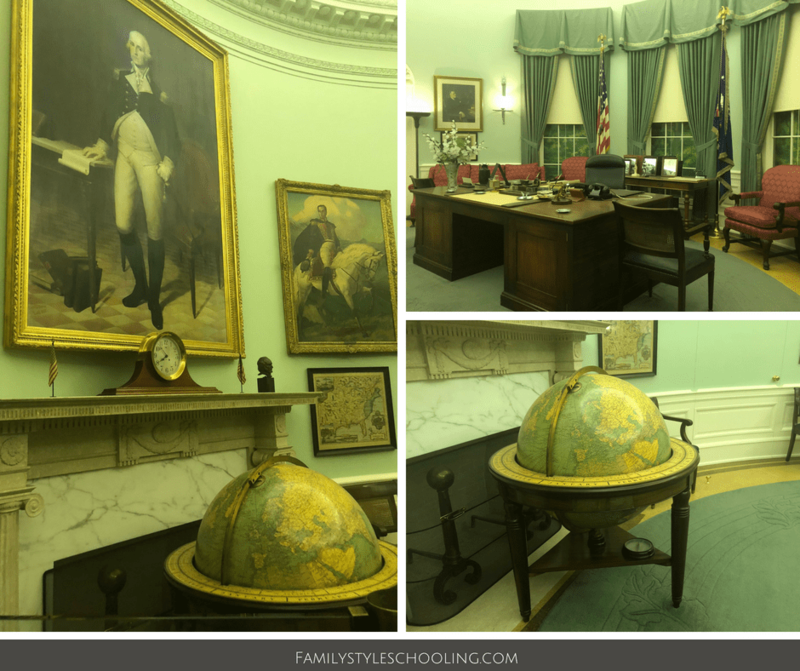 We learned so much about this president, which is our favorite part of touring these national treasure houses. When Truman's family moved into the White House, they discovered the Presidential home in need of much repair. After years of neglect through the Great Depression and World War II, the White House wasn't actually safe for living. 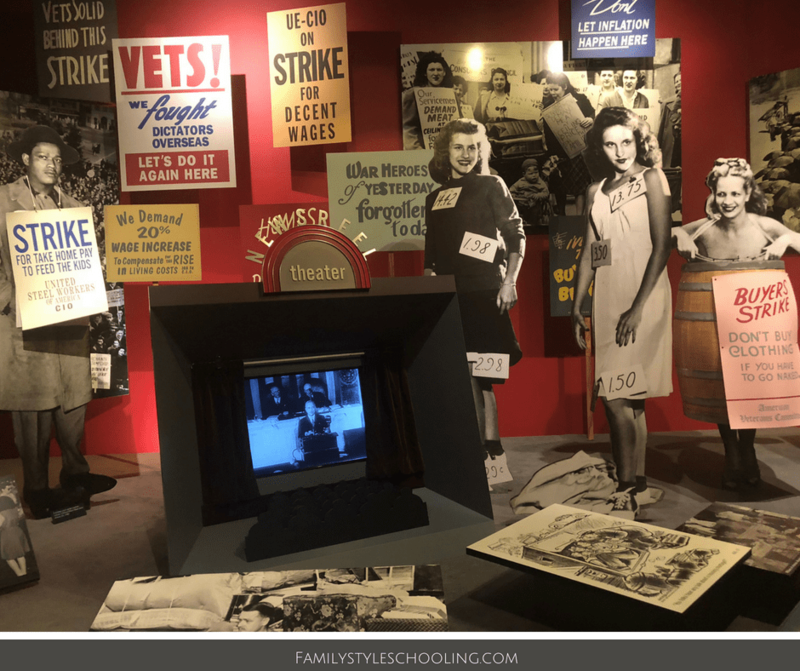 When Truman's daughter's piano leg fell through the floor in her second floor sitting room, Truman quickly moved his family out of the White House and began one of the biggest renovations to the White House in it's history. 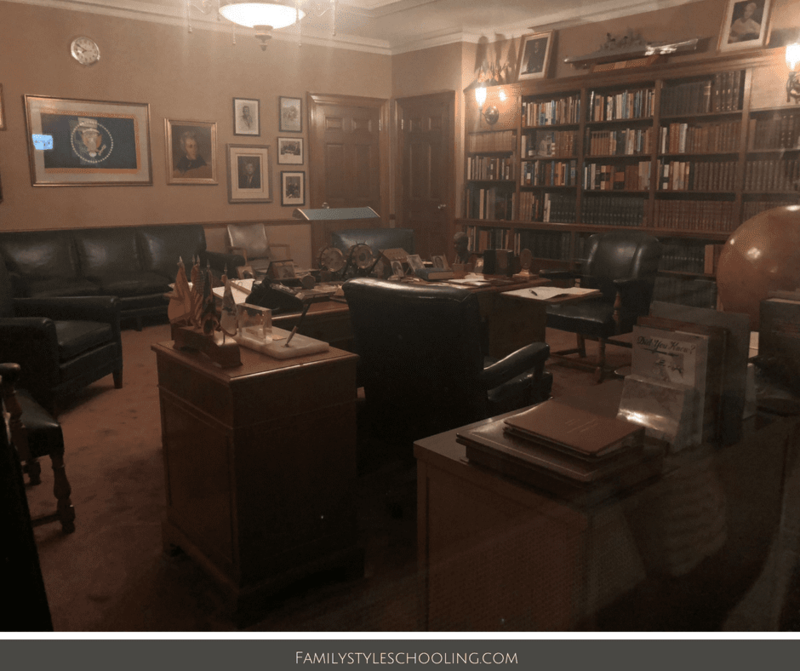 When we visited Eisenhower's Presidential Library, we discovered that his oval office was not displayed because he kept everything the same as his predecessor Truman. One of my favorite things about seeing the oval offices of each president is seeing what books they choose to keep in their bookshelves. 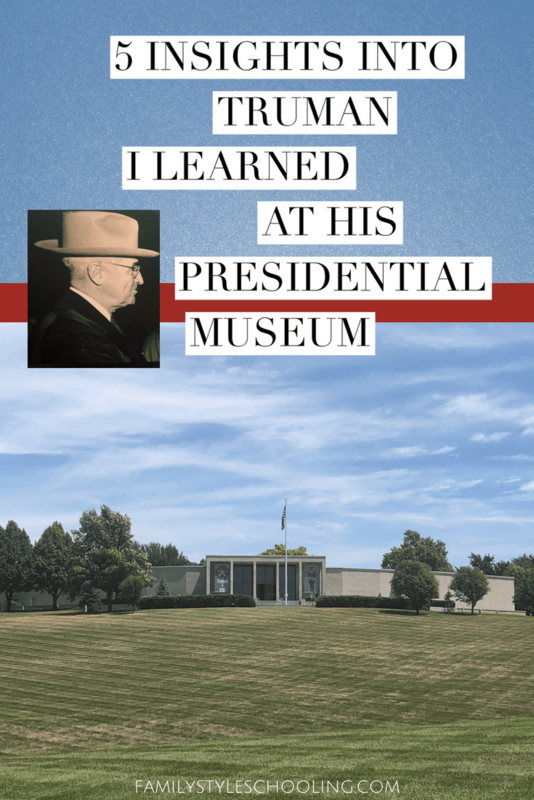 Not only did Truman have some excellent options on his shelf in the oval office, but once he retired and built his incredible Presidential Library and Museum, he also created his own personal library within the library filled with more great books. One of the most fascinating things I learned about President Truman was that he was truly a servant of the people. For most of his presidency he wasn't the most popular guy, but he still got the job done. He was happy to share the credit for a project if it meant that it would be received in a better way by the public. His legacy of service was inspiring, and I'm so thankful that he worked so hard to capture that for generations to come in his presidential museum. 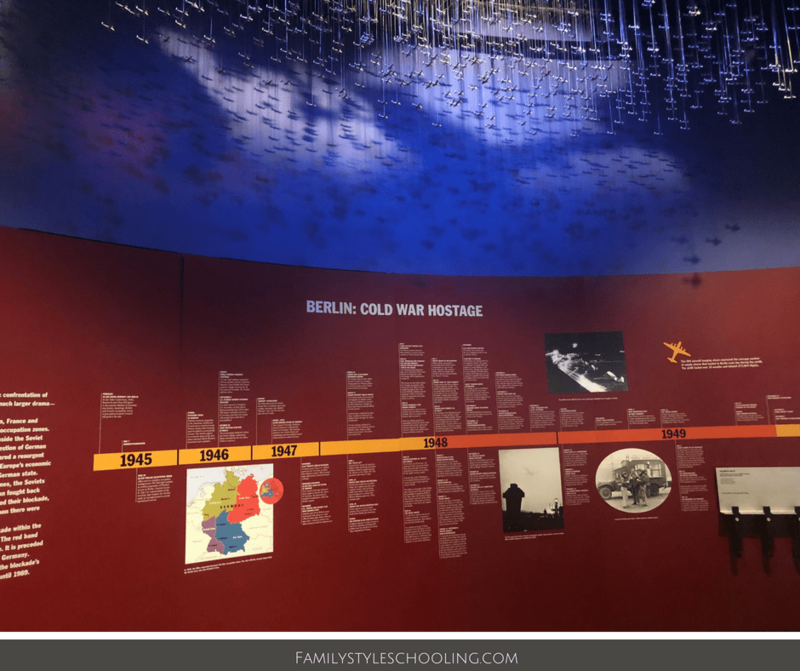 If you happen to be in or near Kansas City, Missouri, you need to find your way to Independence, MO and visit this great national treasure. You can also visit his childhood home down the street.